It's the most luxurious Scratch Map yet. 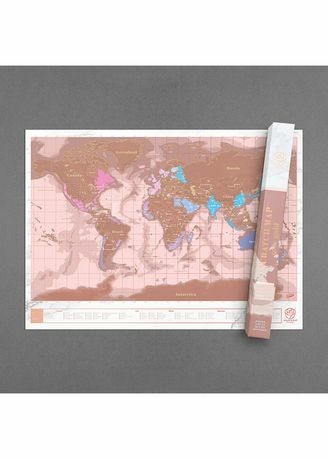 Scratch away your travels on Rose Gold foil! With shimmering rose gold ink and marble flourishes, it's a beautiful and elegant showpiece for your home or office. Unique and personal – the more you travel, the more you reveal. The result is a personalised map of the world that serves as a record of your adventures and inspires you to get out there and discover what the world has to offer.